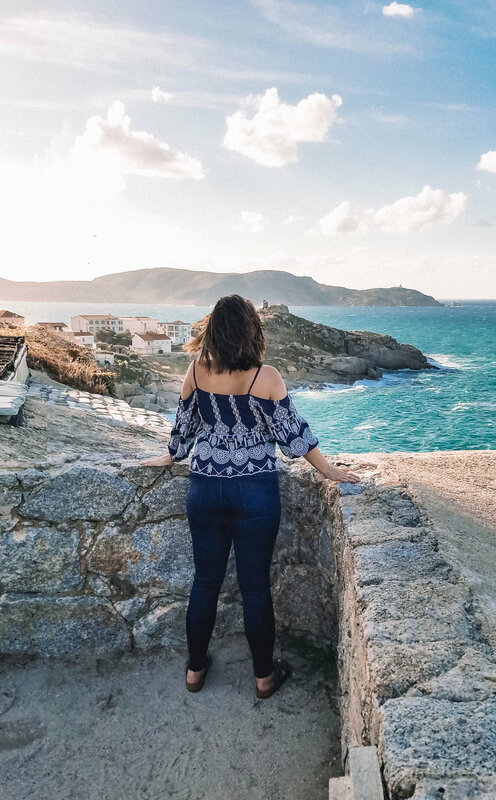 I didn’t know much about Corsica, France before I booked our flight as part of our larger Eurotrip through France and Italy…just that it was an island and was the birthplace of Napoleon Bonaparte. Also I knew that I wanted to go somewhere off the beaten path for a little adventure. So to arrive a little more prepared, I gave myself a small geography lesson beforehand. I learned that Corsica is actually a very large island (3,300+ sq miles) with multiple cities along its coast. Bastia to the northeast and Ajaccio to the southwest are the two largest towns, both with busy ports that service cruise ships and ferries from the mainland. 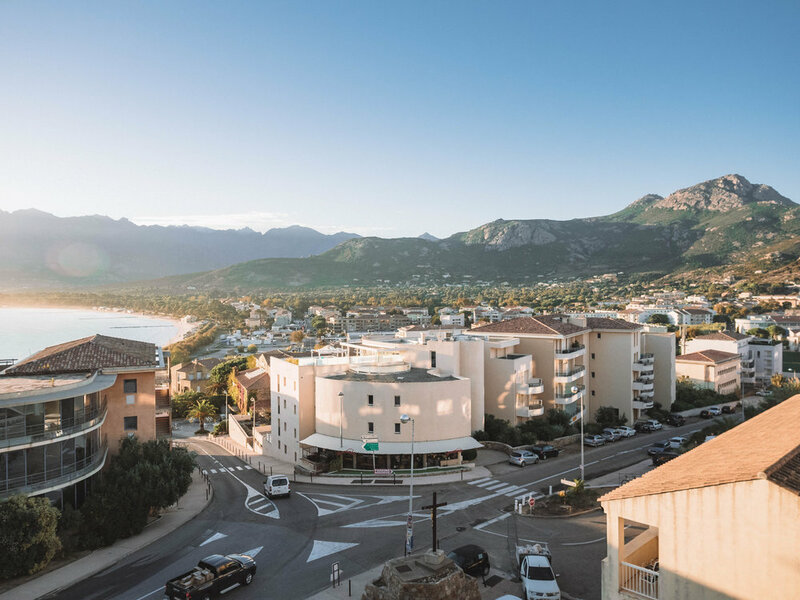 We chose to stay away from the larger cities, opting for the quaint little beach town of Calvi on the northwest coast located on the Bay of Calvi. Corsica is a hidden treasure where French locals go to vacation and it's a rather untouched spot for foreign travelers compared to the rest of Europe. When I mentioned I'd be making the trek to Corsica, most people I knew were just as in the dark about it as I was, unable to place it on a map. My response: "It's that one island north of Sardinia, in the Mediterranean Sea…and the birthplace of Napoleon Bonaparte." 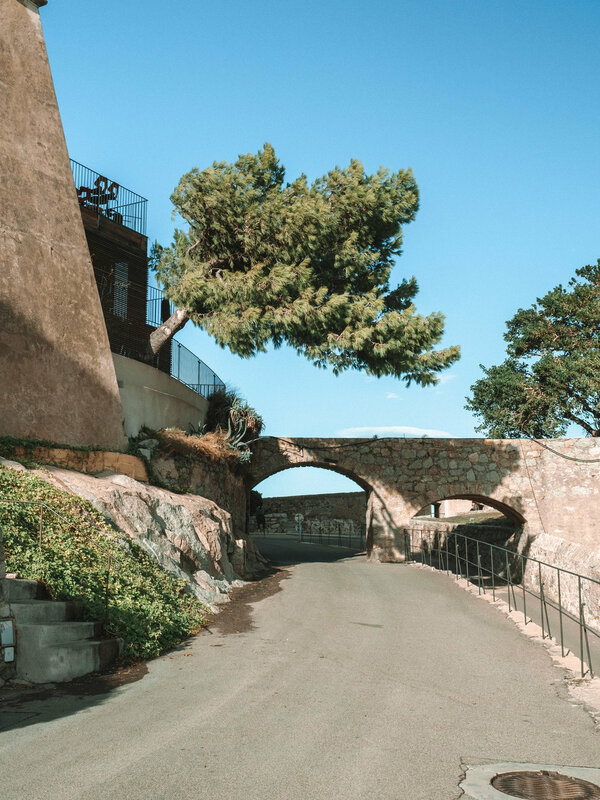 And that one island gave us our beautiful short trip from Paris to Calvi not only with gorgeous views of bright blue and turquoise water, but wonderful hiking and all the magic of a small, picturesque French town. 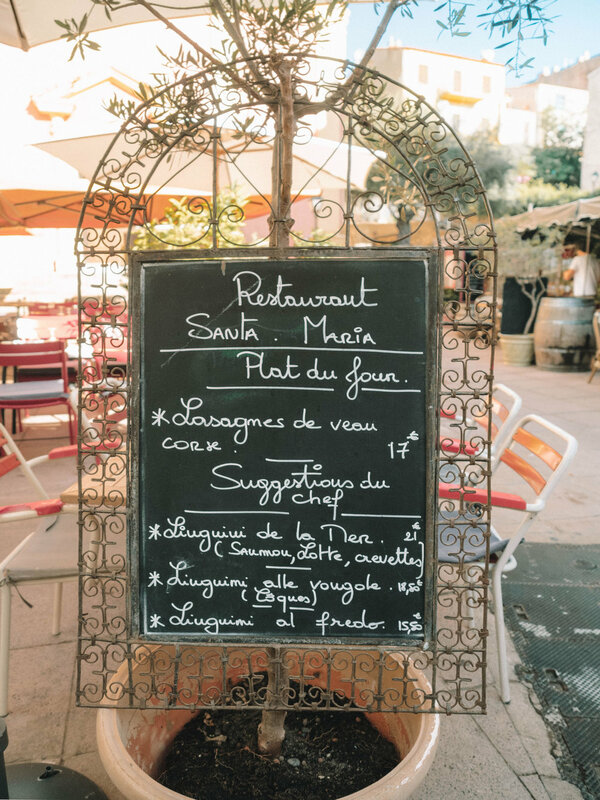 Calvi is a small, easily walkable city with many local shops and restaurants. 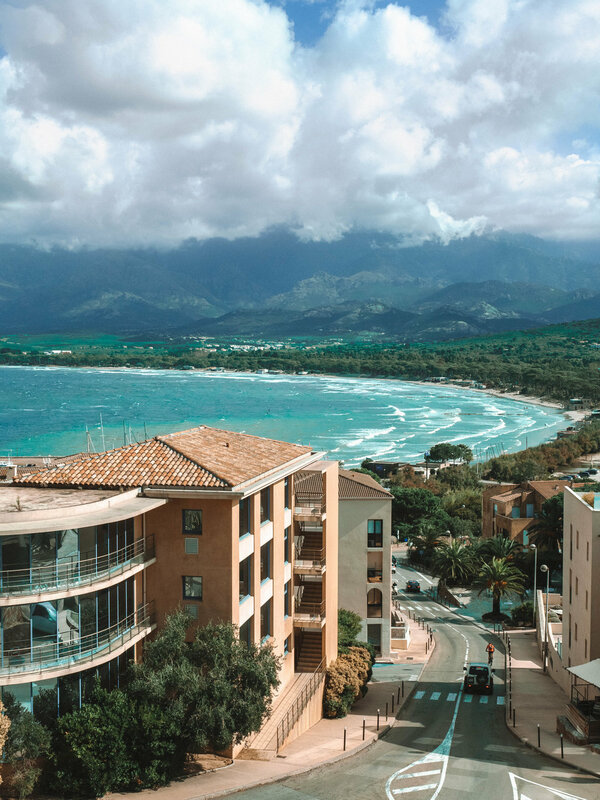 As soon as you step off the plane in the small, 3-4 gate Calvi airport, you’ll be surrounded by mountains covered in lush greenery on all sides. The landscape of Corsica is truly second to none. 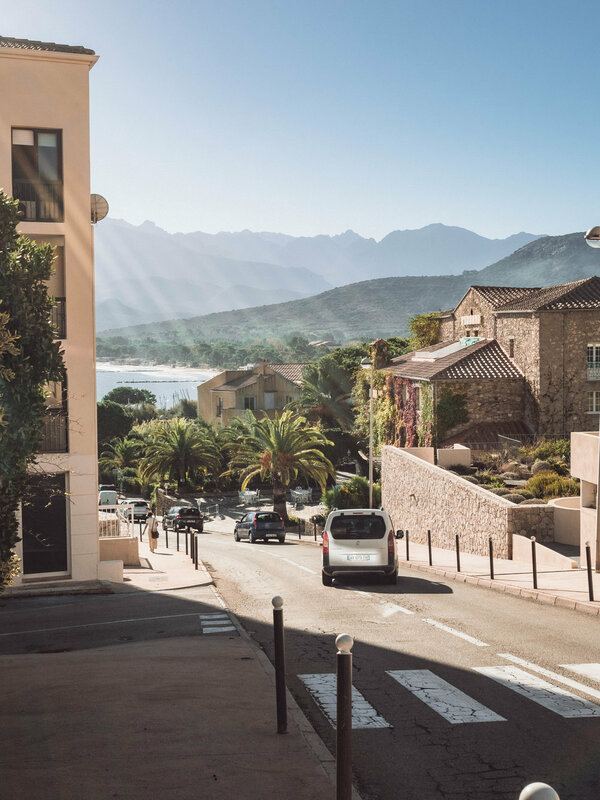 Hop in a cab and take the 8 minute drive to downtown Calvi (I told you it’s small), drop off your bags at your hotel (we chose the beautiful Hotel Mariana), and take a deep breath of the fresh sea air. You’re on island-time now…or at least the French version of island-time where everything moves a little bit slower but no one is actually late for anything. 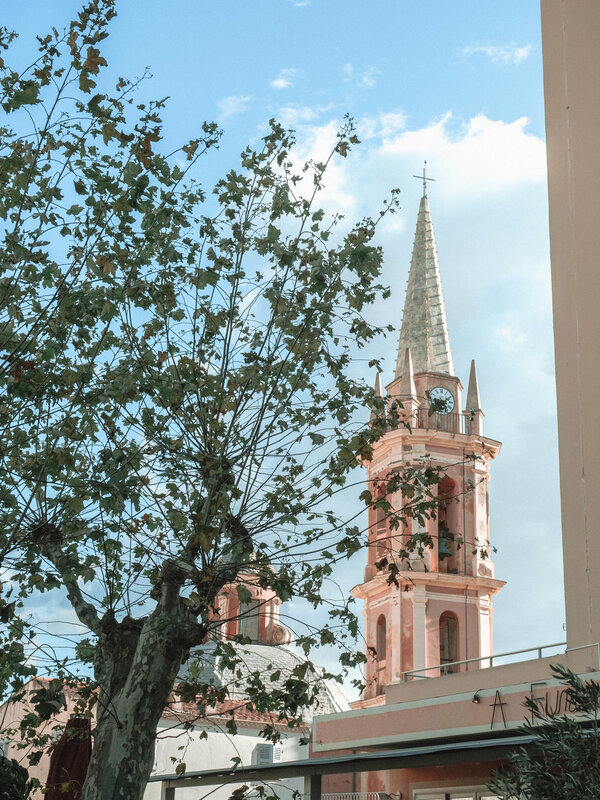 During the day there is a slight bustle to the streets as locals grab lunch, shop or head to the Church of Sainte-Marie-Majeure, a beautiful pink chapel, for services. As you make your way through the main square of town, you’ll pass along small cobblestone paths with alleys that frame the marina nearby. Trust me, this is the place to visit in a middle of a whirlwind European vacay. You’ll love not having to rush from landmark to landmark or stand in line for hours to see a museum like in larger cities on the mainland. Continue to inhabit the spirit of French island-time by spending time by the sea. 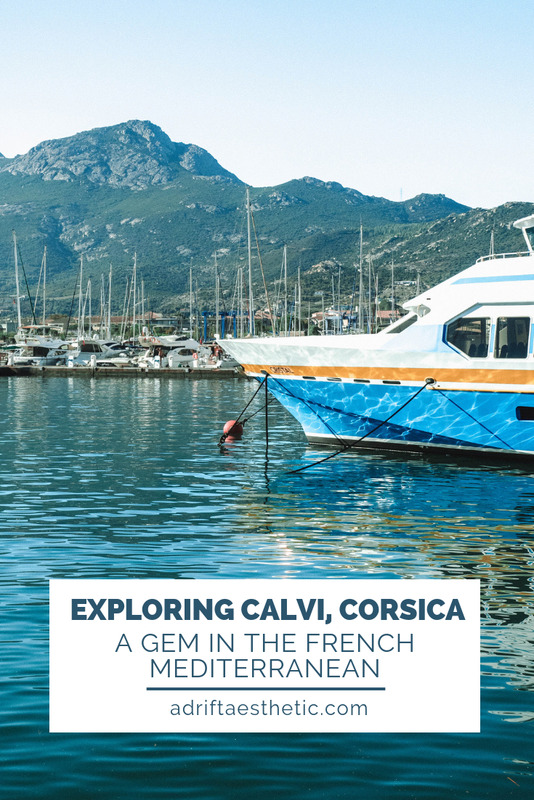 Making your way along the Calvi marina is much like strolling along the water in Monaco...you're surrounded by beautiful yachts, all sizes of fishing boats and a gorgeous view of the mountains across the way. The path adjacent to the water, the Quai Landry, is lined with bars and restaurants for a relaxing (and slightly expensive) al fresco dining experience. Many specialize in fancy cocktails and elaborate ice cream sundaes. Cocktails AND ice cream? What else do you need in life? Grab a seat by the water for quality people watching and taking in the island sun through the wind-blown palm trees. The Calvi Citadel can be seen from most of Calvi, sitting on a hill overlooking the water. It's a medieval show-stopper that acts like the North Star of the city. The Citadel has been standing since the 12th century and has fortified Calvi across the years. More recently it serves as a perfect afternoon walk. The winding path leading up and around the citadel provides amazing panoramic views that will take your breath away. Deep blue hues of the Mediterranean Sea frame the small idyllic town on the coast. Make sure you’re mentally prepared for the gusts of wind as you walk upward. We felt like we would blow away when hiking up the north side of the cobbled path. Once you reach the top there are restaurants and tea shops you can stop in, as well as a few smaller hotels. The Citadel is very intricately built, with paths and levels leading in all directions. We would walk a bit then find a random turn that we would want to explore. Make sure you devote some time to the citadel to really discover its ins and out. As you probably already know (and if you don’t, check out the hiking section of this blog) hiking is my favorite thing to do while traveling. It not only gets you out into nature but helps you burn off some extra calories so that you can eat more food like French crepes for breakfast, lunch AND dinner! Corsica is a major hiking destination for Europeans due to the land further inland being incredibly rugged with lots of elevation gain. The GR 20 is a trail that crosses almost the entirety of Corsica from the Southeast to the Northwest along the island's mountainous spine. This 112 mile trail takes on average about 15 days to complete and is regarded as one of the top trails in the world due to it's spectacular mountain views. It's also coined as the toughest trek in Europe: very little of the hike is across flat land. I don’t blame you if you're not prepared physically or mentally to take on such a challenge like the GR 20. Lucky for you, and for all of us more average hikers Corsica is still a hiker's paradise. 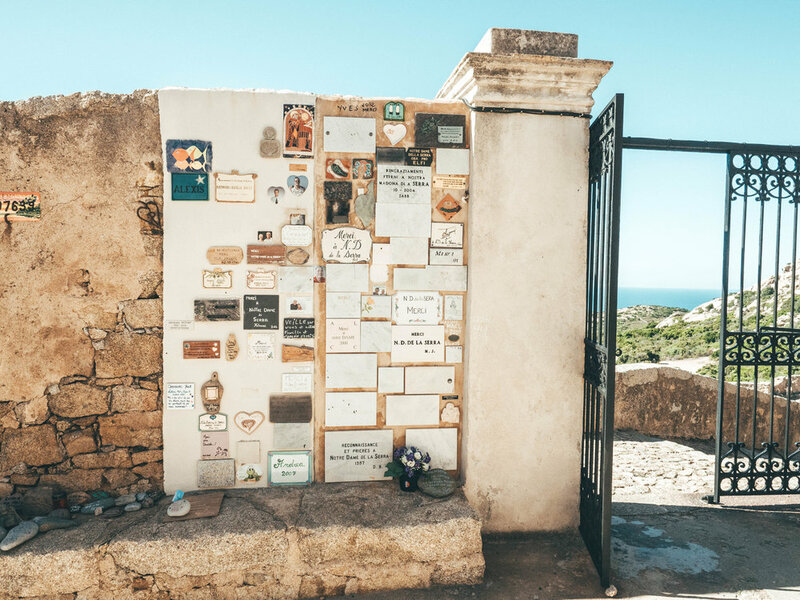 We chose to embark on the trek from downtown Calvi up the hill to the Chapelle Notre Dame de la Serra. This roughly 4 mile hike (round trip) will take you up and inland past smaller homes and farms to the Chapelle on the top of the hill, just barely visible from the water near Calvi. Make sure you have sturdy shoes, water and sunblock. The hike is uphill with rugged terrain and a couple twists and turns but worth it for the incredible views of the bay as you head upward. The water is so insanely blue, it looks as if you're staring at a painting. One you reach the courtyard at the top you have access to panoramic views of the island and the best possible view of the town of Calvi. The Chapel is still open for religious services despite having been built in the first half of the 19th century (rebuilt from when it was destroyed in 1740 during a siege). Stand in the shadow of the large Madonna statue take in the sites before you head back down the way you came. If you have more time in Calvi there are some other great day trips you can take from town. The Scandola Nature Reserve is a UNESCO World Heritage site only acessible by boats which depart from Calvi daily. The Reserve is a made up of volcanic rock and steep red cliffs emerging from the water with grottos, coves and beaches scattered throughout. You can also take the small and rickety coastal train to other small towns near Calvi such as Algajola or L'Ille Rousse. These locals are small and quaint but have gorgeous beaches and local markets perfect for picnic supplies. Train runs are very limited, especially outside of the high season so make sure you look up the schedule ahead of time. However, the route is referred to by many travelers as one of the more beautiful train rides in Europe since it hugs the Mediterranean coast most of the way. Corsica provided a much needed break from city life (and tourists) during our trip to Europe. The inexpensive flight from mainland France makes it an easy stop to add to any France itnerary. In fact, we left Calvi to fly into Nice and it only took 40 minutes! One thing to note is that you should be prepared to speak French…especially if you visit outside of the summer months like we did. This is small town France after all and although we did encounter some people who spoke English, it is best to try to speak the native language as much as possible. I would love to travel back to Corsica to check out the other towns on the island and sail to the Scandola Nature Preserve, which we didn’t have time for this time around. Maybe in the future we can tack it onto a trip to Sardinia to get a healthy does of French island-time and Italian island-time all in one trip!